My days are absolutely hectic. From the minute that I get up in the morning it's check emails, reply to anything urgent, wake up Sam and go, go, go. It's always pretty non-stop here, even during the weekends. And as much as I love my grand kids, when they are here, it is even more hectic. Like today...I haven't even gotten a chance to take a shower yet! Today is one of those days that wish I could get a small time-out so that I can collect my bearings. Getting a break for myself is not exactly easy. So I decided to head over to Walmart and make myself a Bigelow Tea Time-Out Basket. 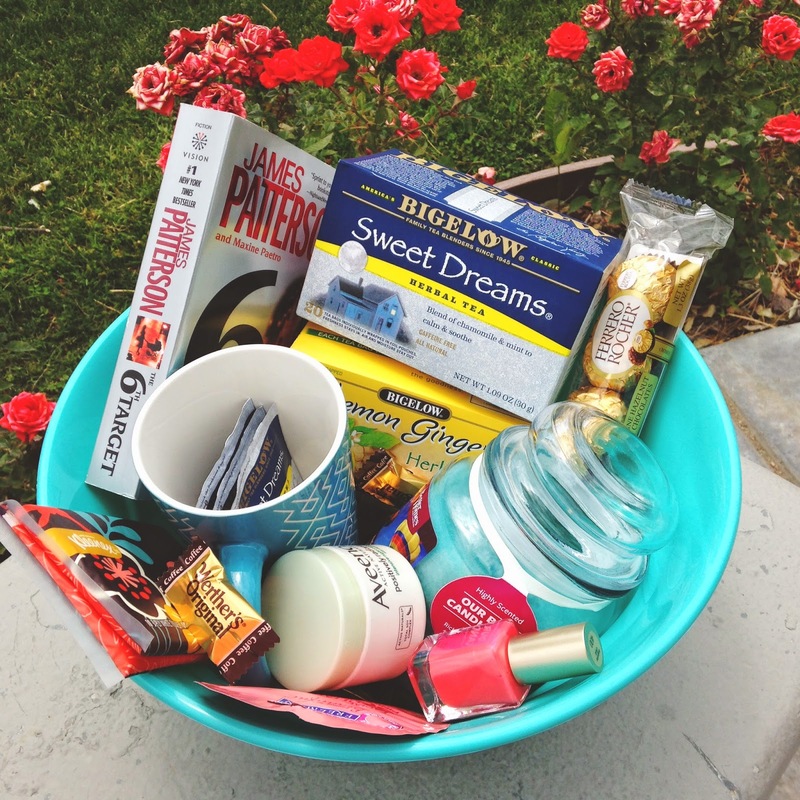 Hey, if no one else is going to make you a sweet filled basket, to help you relax, why not make your own? 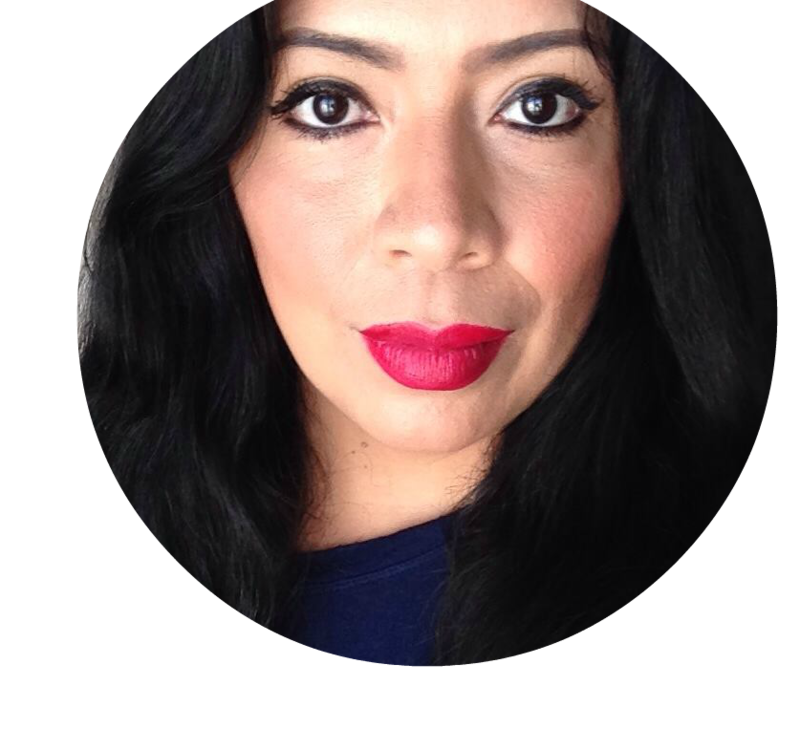 As moms we need to find time in our day, just for us. Having a few goodies ready to make those minutes extra relaxing is always a good idea. Making your basket of goodies doesn't have to be expensive because at Walmart you can find such affordable items. I got The Perfect Summer Day Candle (divine! ), a Freeman Facial Exfoliating Scrub, an Aveeno face cream and a beautiful coral polish for my nails. Getting some time out when you can actually pamper yourself is really nice, and a new nail color can really brighten even the most stressful day. Of course I had to throw some candy in as well. What break time is complete without some sweetness? 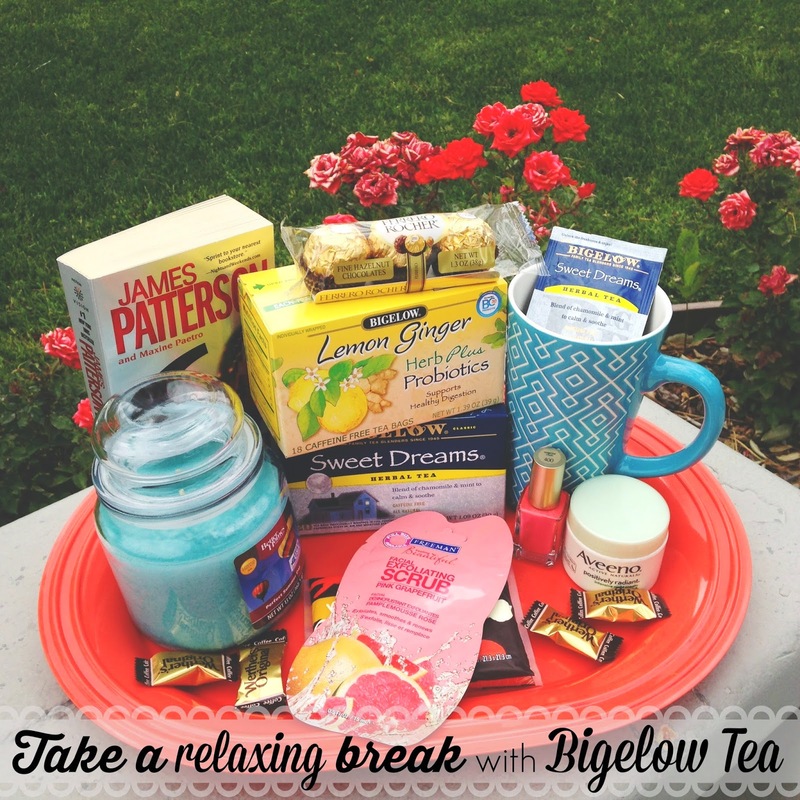 To help relax even more I chose Bigelow Tea in Sweet Dreams which is my favorite flavor. This has a delicious blend of chamomile and mint that helps to calm and soothe. This is something I usually drink while I am working to help keep the stress away when I am running behind. This is also a great one for right before bed. My second favorite flavor is Lemon Ginger which has probiotics and helps support healthy digestion. 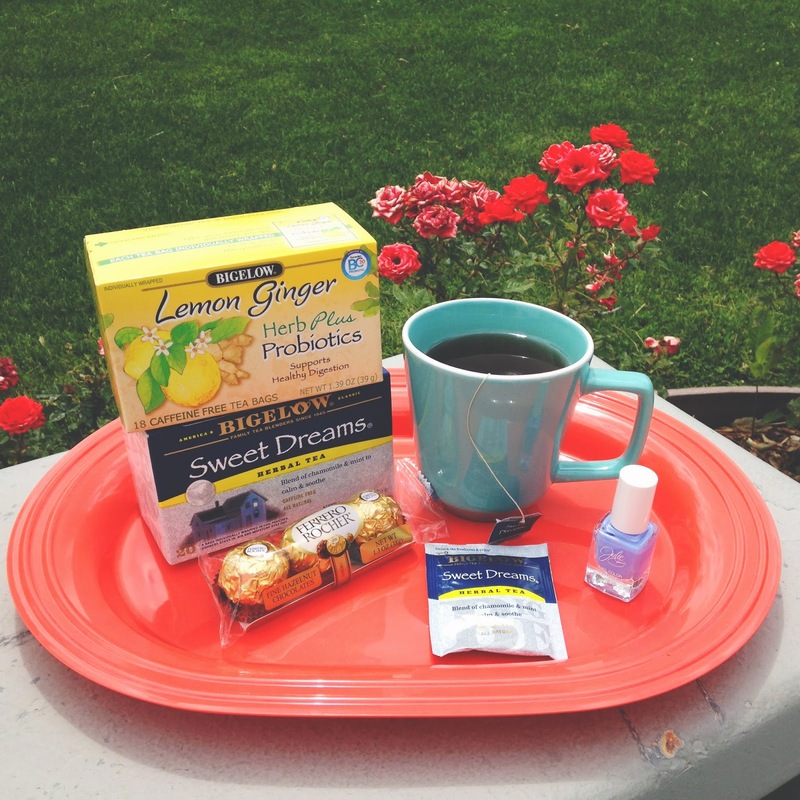 These two teas are perfect for enjoying some relaxing time off, even if it's just 15 minutes. 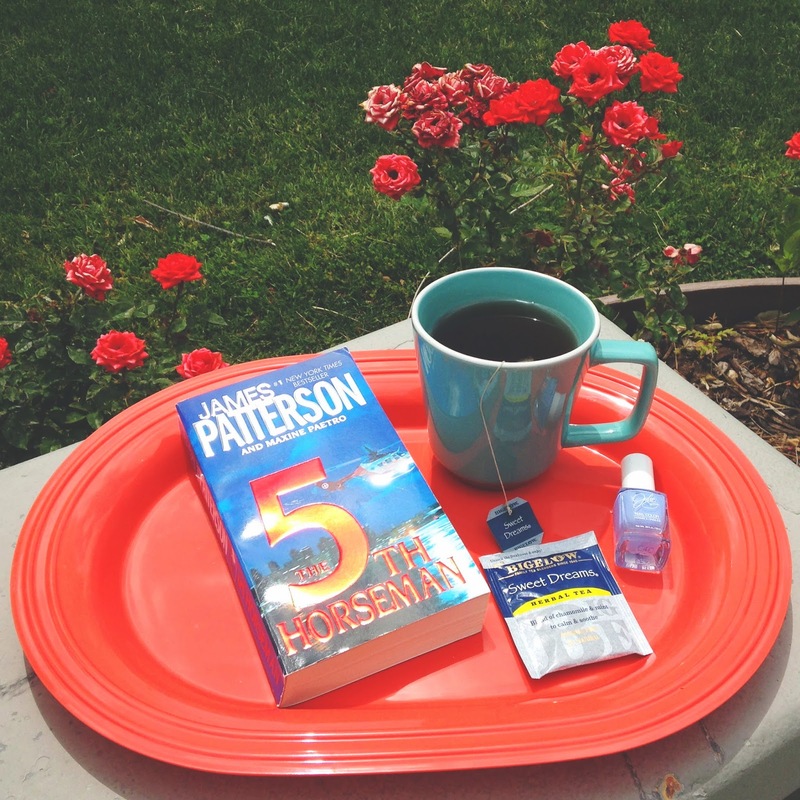 Some hot tea, a good book and you've pretty much got a little bit of heaven in your day. Bigelow Tea has many great flavors which can be enjoyed hot and cold. 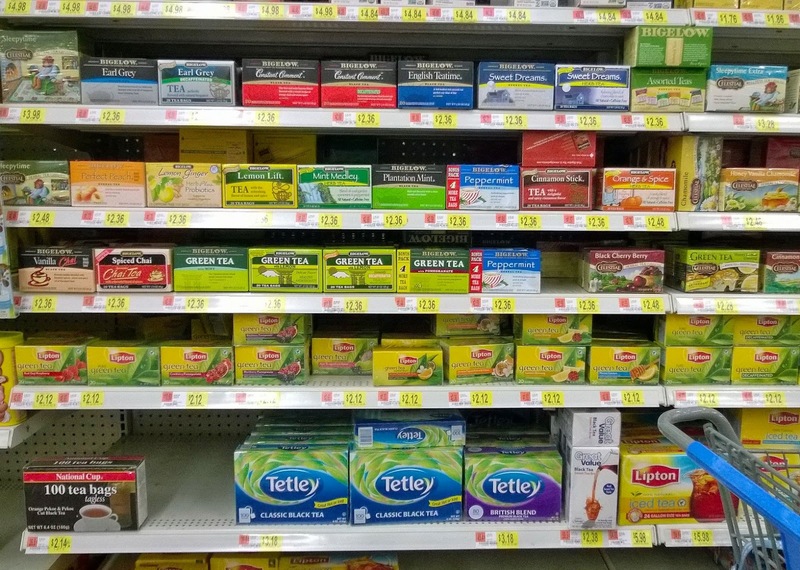 Walmart always has them at a great price so I am able to stock up on my favorites and the foil pouch keeps them fresh so I don't ever worry about stale tea. Bigelow Tea is an American company that is family owned and is known for its high quality teas. 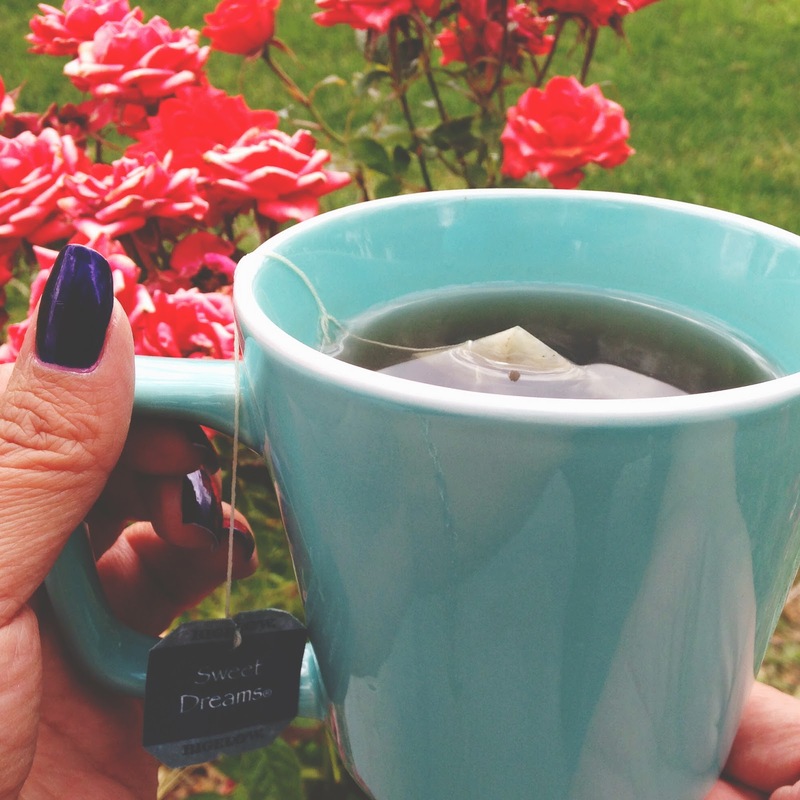 I really enjoy the many flavors and care that goes into my daily cups of #AmericasTea. If you are feeling a little stressed out an in need of a time-out. 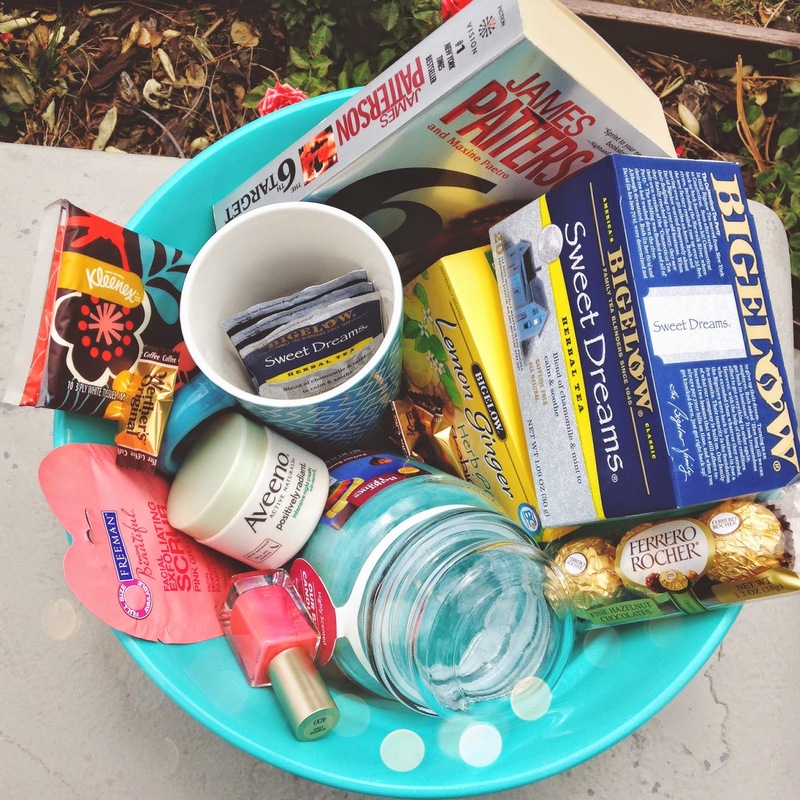 I suggest making your own Time-Out basket filled with relaxing goodies like this. 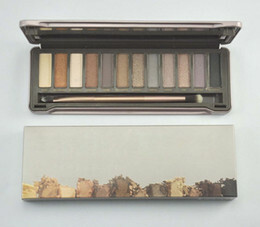 Add some of your favorite stuff: tea, coffee, books, polish for a mani or pedi and a few other really pampering items. When you get a few extra minutes to yourself, bring that baby out and just ENJOY! We all need to take some time off to relax every day. It doesn't even have to be a long time. Give yourself at least 20 minutes, just for you, and you're going to see what a big difference it makes in your day. Cheers!